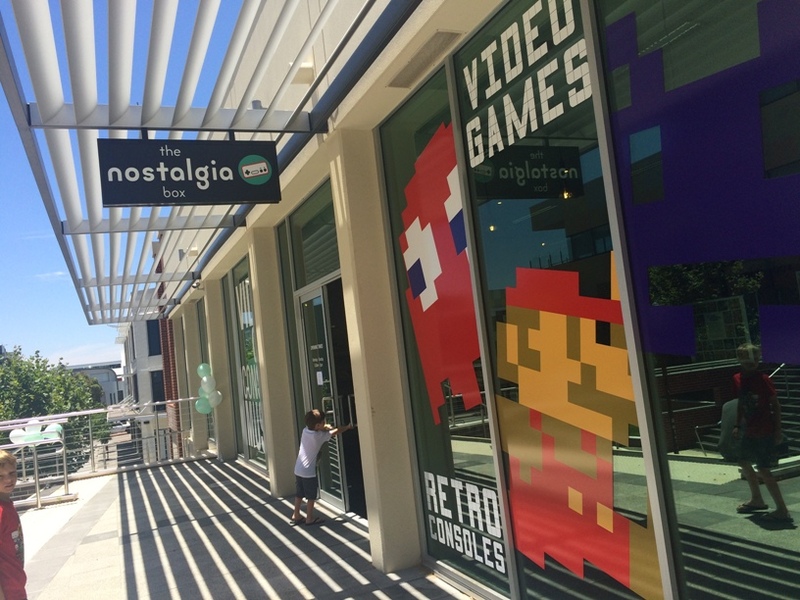 The Nostalgia Box Northbridge is Perth's new, old school gaming museum and experience. 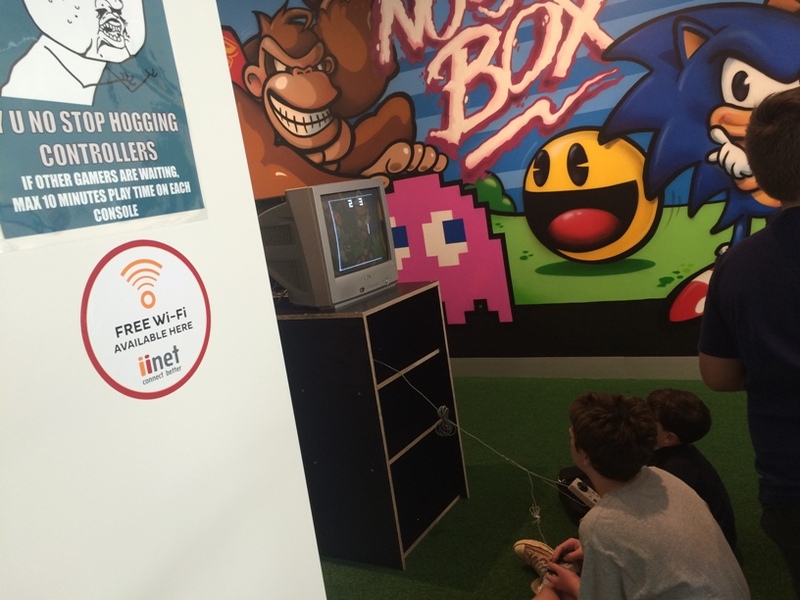 Located on Aberdeen Street not far from the Perth Cultural Centre, The Nostalgia Box takes you back to the nostalgic memories of your gaming youth - and gives kids a chance to experience gaming old school style. The kids were immediately drawn to all the retro gaming consoles that are set up with old school arcade favourites like Donkey Kong, Galaga, & Space Invaders - the favourite was definitely Donkey Kong with my boys they had no trouble working out how the joy stick worked nor did they ask why the tv was so fat! This was played on a CBS Colecovision console. 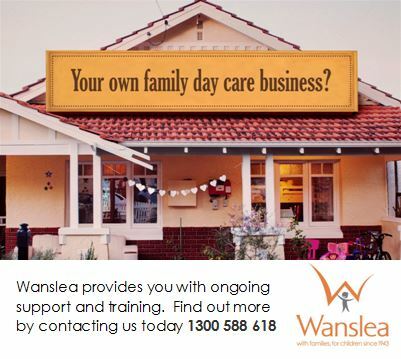 They also switch the games around regularly so you can visit again and again and get a different old school experience. 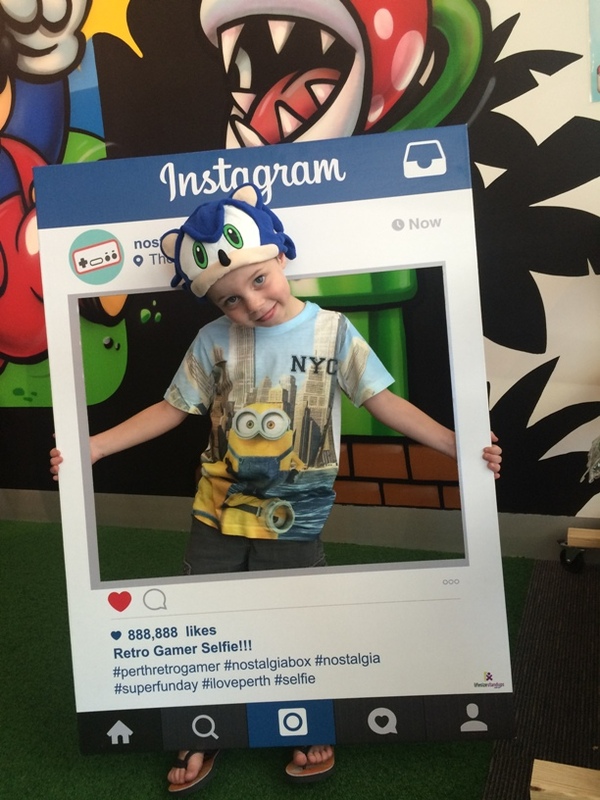 There are lots of old school props so you can dress up a little and take some cool selfies and share them on social media all new school style. 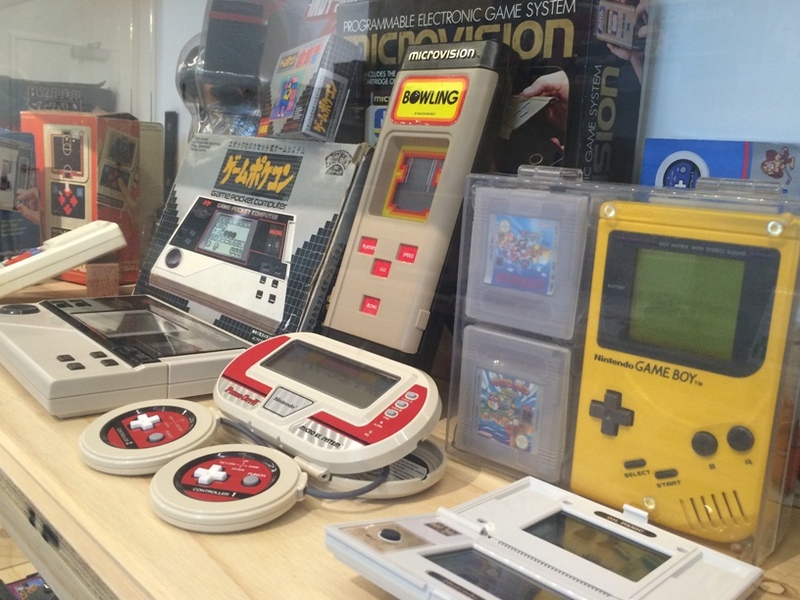 You can also browse or spend up in the retro video gaming accessories shop. 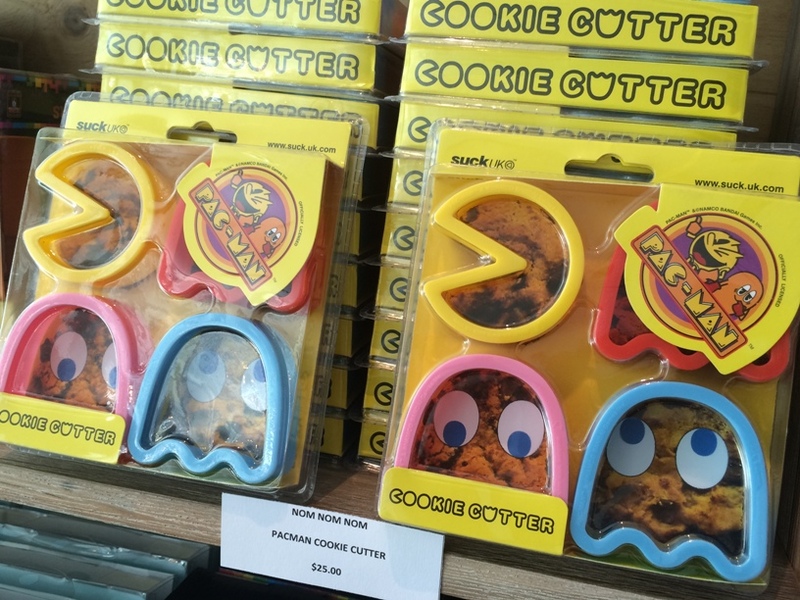 There are all sorts of things to purchase from Pacman cookie cutters to old school games and video gaming favourite accessories. 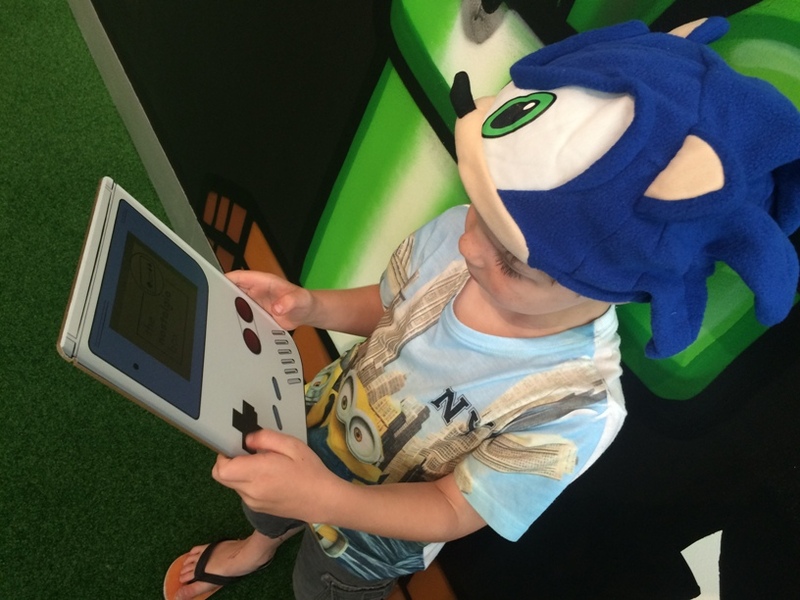 Away from the hands on gaming you can enjoy wandering through the 100's of video gaming consoles and accessories dating as far back as the 1970's. All your old school favourites are there and many more you have probably have never seen before. It reminds you that gaming was just as big then as it is now - it just looks a little different. 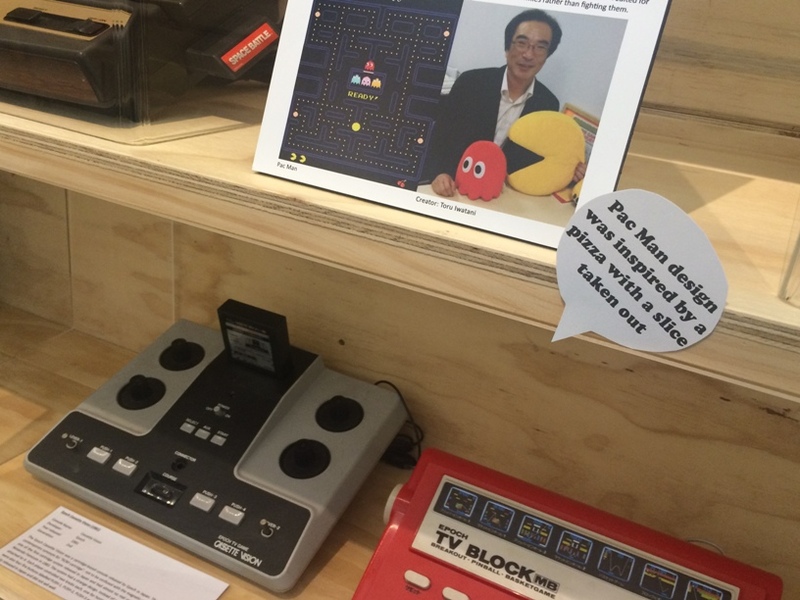 There's also lots of interesting information on gaming history - you are sure to learning something, or a lot you didn't know, like that Pacman was inspired from a pizza with a piece missing! This collection took quite a few years to pull together as you can appreciate with items being obtained from all over the world. It really is a truly amazing collection and shows you have far we have come and also how the old is becoming new again - with the return in popularity of games such as Pacman and Donkey Kong. You can also see heaps of old video gaming advertisements. 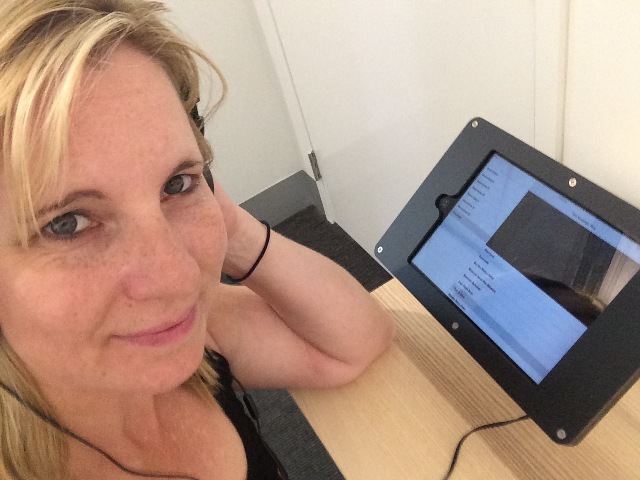 Just pop on the head phones and open up the file on the iPad and see how many ads you can remember. 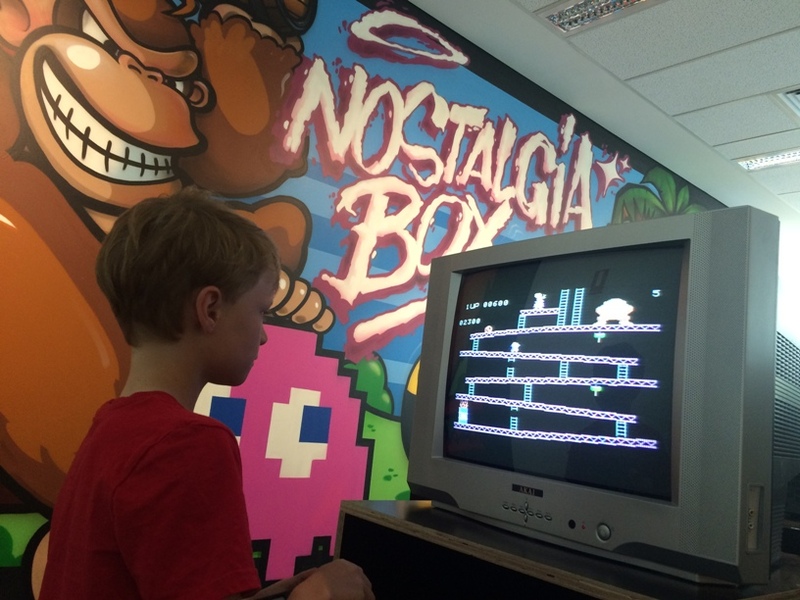 Whether you want to take the kids to show them a bit of how you grew up, or remember the good old days - or you may just be visiting Perth and looking for some cool Perth attractions close to the city The Nostalgia Box is a must visit. 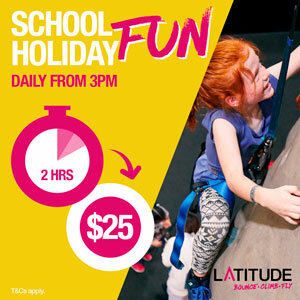 It's just a short walk from the Perth Cultural Centre. 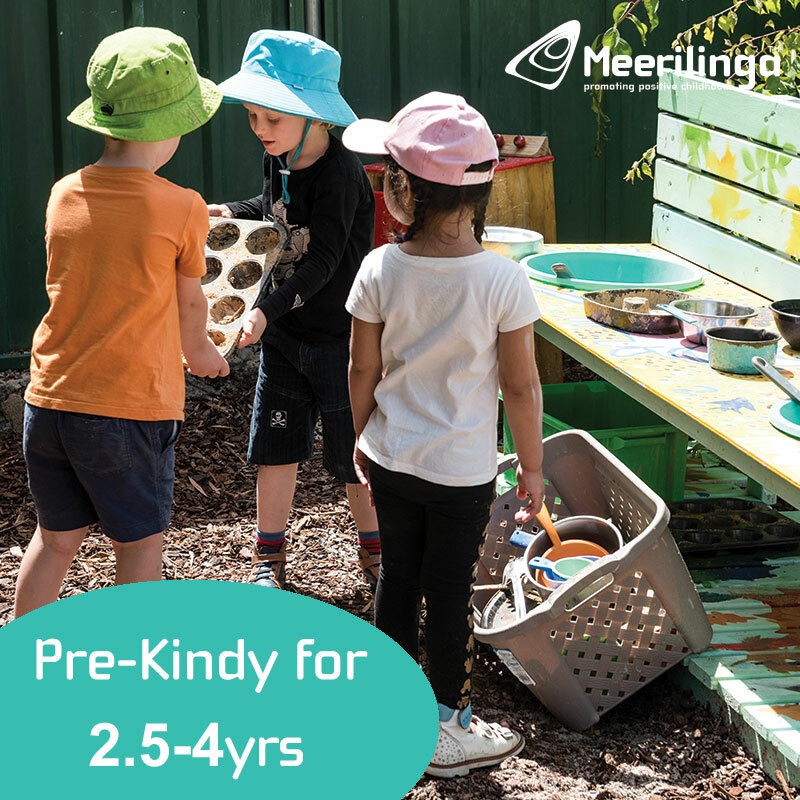 There is some street parking on Aberdeen and Newcastle St. Undercover parking is available of Lipfert St. You can also catch the Blue CAT and get off at Stop 6 Arts Centre or Stop 7 Central Institute.